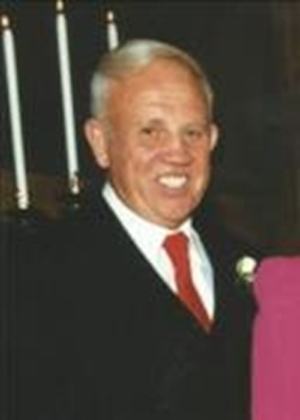 Obituary – Oden, Brent “Dee” « Perry High School Alumni Association, Inc.
Brent Dee Oden, lifelong Perry resident, passed away on Tuesday, May 26, 2015 at Perry Memorial Hospital at the age of 88. Graveside services will be held at 11:00 a.m., Friday May 29, 2015 at Grace Hill Cemetery, Perry, Oklahoma. Dee Oden was born June 1, 1926 in Perry, Oklahoma to the late Brent and Olive (Miller) Oden. Dee grew up in the town of Perry and graduated from Perry High school. Dee was proud of the fact that he earned the title of state wrestling champ in 1944 and 1945, always blaming unlucky new shoes for the result of a defeat and not having the title for 3 years. Dee married the love of his life Ruby Nadine Bilbrey on November 6, 1949 in Texas. They made their home in Perry, living in the same home since 1955. They owned and operated Dee Oden Sand Blasting. Dee loved spending time with his family and it gave him great joy to play and tease the kids. They were members of the First Christian Church. Dee is survived by his son, Roy Oden and his wife Wanda of Lewisville, Texas, daughter Dee Ann Peak and husband Eddie of Las Vegas, Nevada, sister Jean Long of Enid, OK, brother Corky Oden and wife Cathy of Perry, OK, granddaughters Regina Haney and husband Phillip of Moore, OK, Lesley Koch of Las Vegas Nevada, Angel Stoker and husband Mike of Las Vegas, Nevada, Missy Bullen and husband Jimmy of Oklahoma City, OK, great grandchildren Kaydee Hoss and husband Bryce, Samantha Haney, Logan Haney, Garrett Koch and Parker Koch and 1 great great granddaughter Lillee Marie Hoss, along with many nieces, nephews and cousins. He is preceded in death by his parents, wife Nadine Oden, daughter Patricia Calhoun, brother Jackie Oden, sister Mickey Russell and husband John.